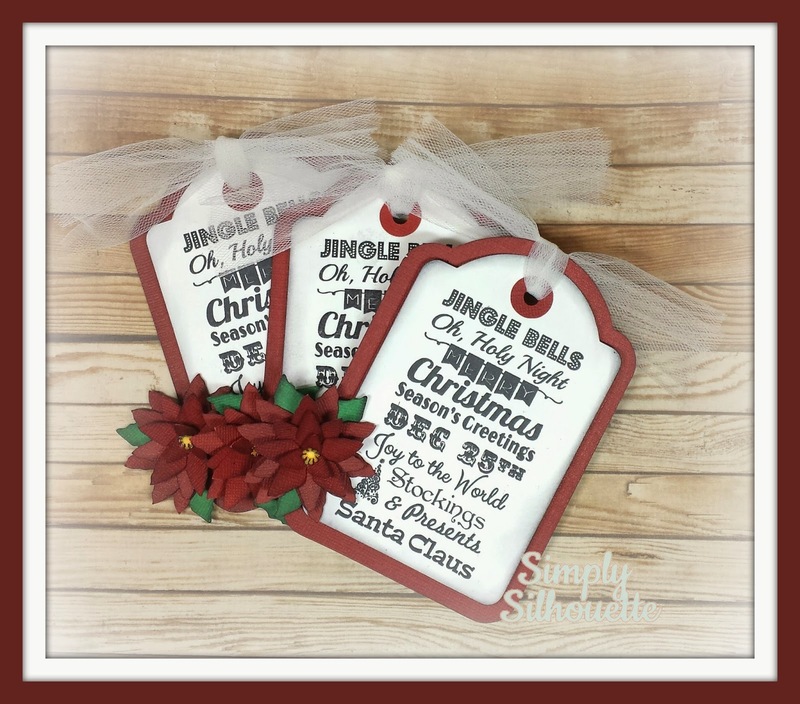 Simply Silhouette: Scrappy Mom'sMemories ofChristmas Past! then finished off with some tulle. Christmas ornament for on the tree. Scrappy Mom's is having a GIVEAWAY! click on each of the Designer's blog links. a comment telling us which one was your favorite. I hope you enjoyed this favorite of mine! Like subway art style writing on these wonderful tags. 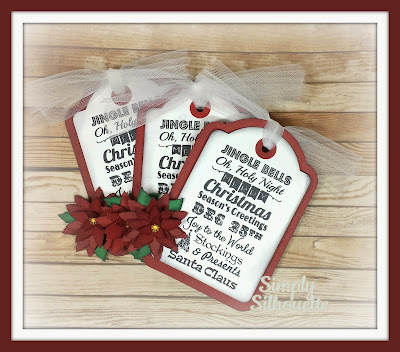 Great pick for your favorite project from Christmas Past. They are beautiful. Love the subway style stamps and your tags! Making sure I left my comment - I picked yours as my favorite because I love Poinsettia and tags - you did a lovely job - and of course it was difficult to select due to all projects being super wonderful - have a Merry Christmas Julie! Love your fun tags! 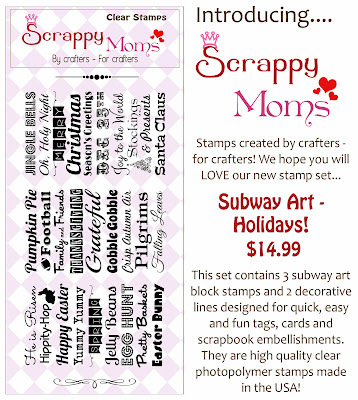 I love the subway art stamp set! 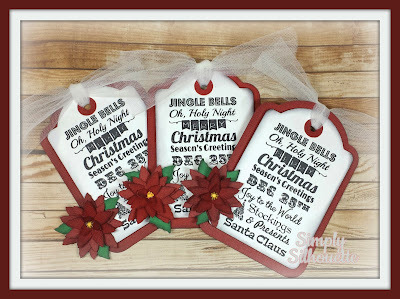 Fun project from Memories of Christmas past! 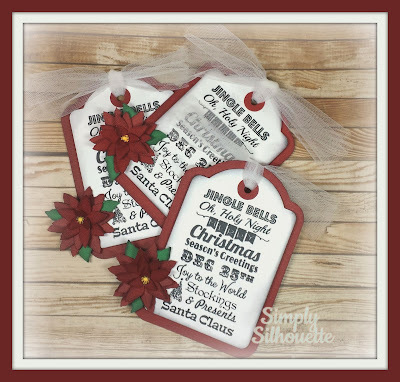 Love these tags, the subway stamps are my favorite! 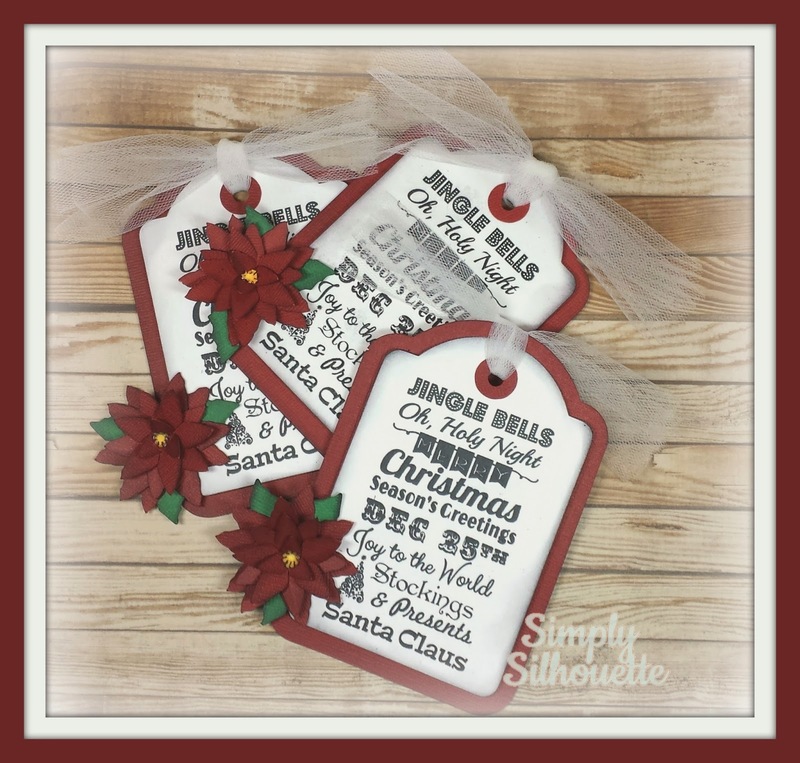 Love these beautiful tags, Julie!